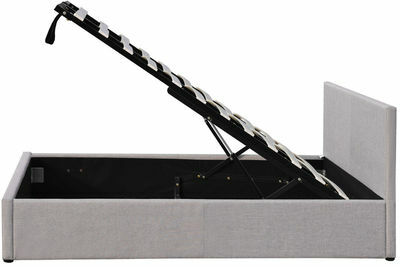 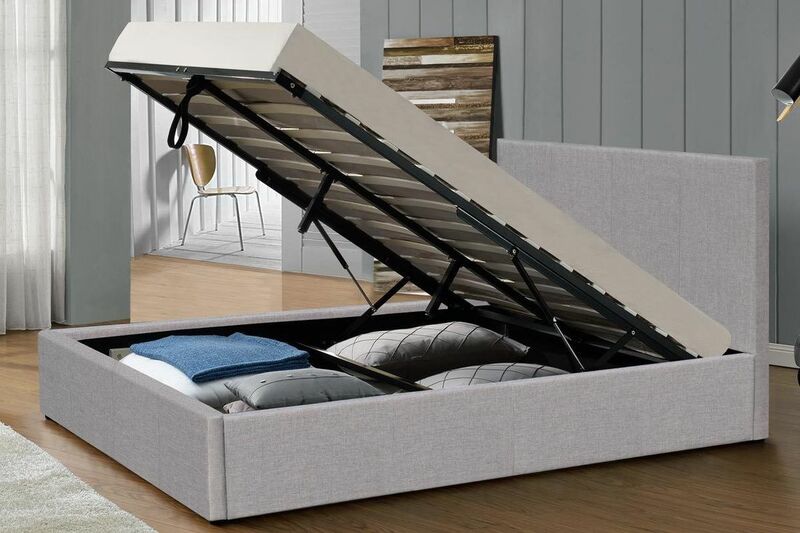 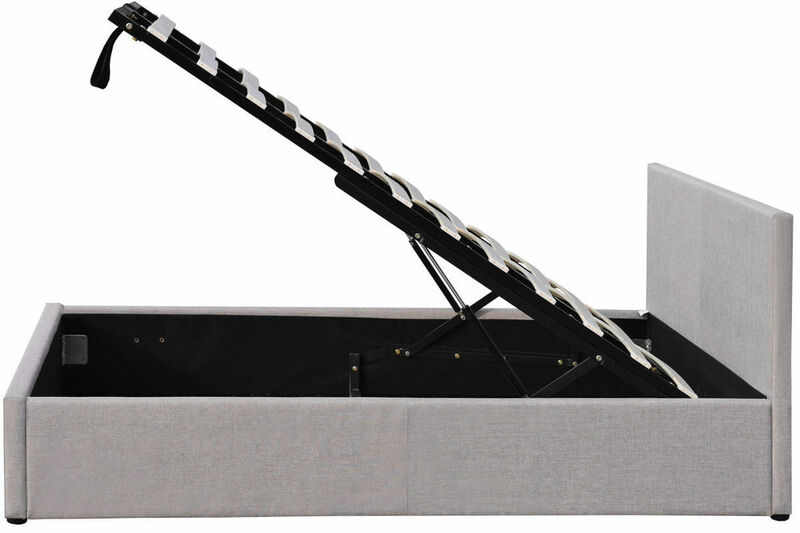 The Richmond lift up Ottoman storage bed has a sturdy metal frame and 2 gas lift mechanisms that enable very easy lifting of the frame to reveal a large under bed storage area. 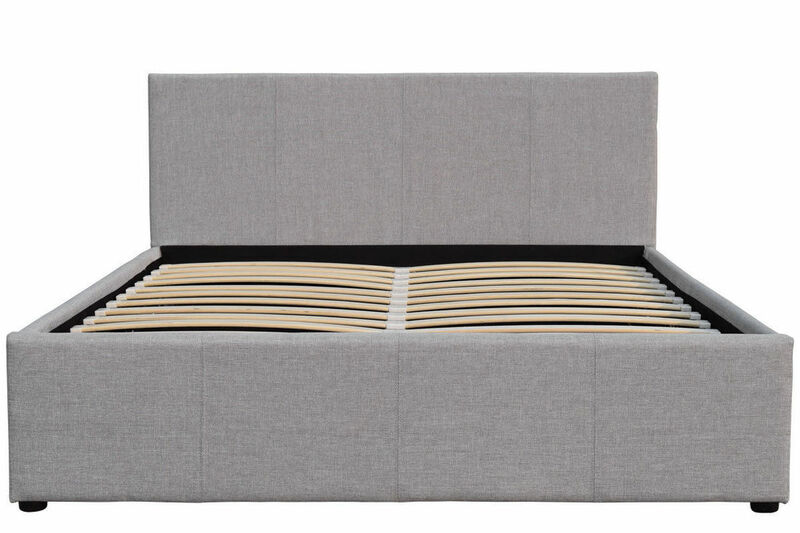 The Richmond storage bed is supplied with a fabric base so your items do not sit directly onto the floor. Upholstered in the finest quality grey fabric material, this Storage Bed also benefits from a sprung slatted base for ultimate comfort and also to maintain your mattress in the best possible condition. 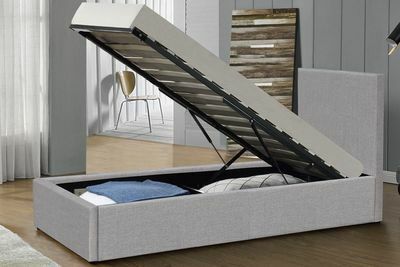 This bed will enhance any bedroom & help remove those storage issues.